First, let me apologize for my 3 month long absence. I’ve been out of pocket since our September trip to Jamaica, but I’m back and in full swing, baby! 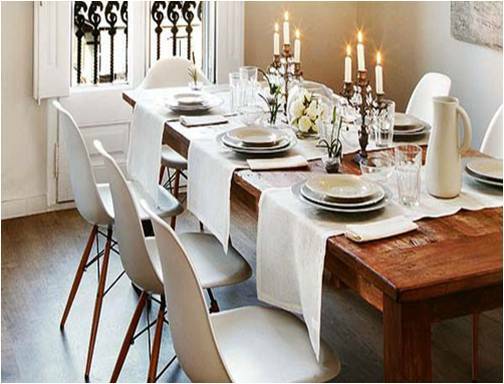 That said, getting ready for the holidays has been about all I’ve done recently….including planning my first “real” dinner party! It looks as though we’re hosting some folks for a New Year’s Eve dinner this year so I, of course, used it as an excuse to become obsessed with decorating the table! Here’s a look that should be similar to mine. Farmhouse table- check, white table runner-check, now on to adding the finishing touches. The elements below will make up a majority of the table. I’m going with a combination of formal and informal. 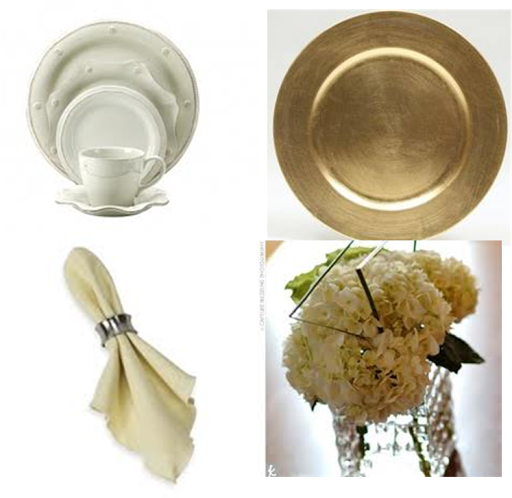 My every day Juliska Berry and Thread china, gold plate chargers, lettuce-edged linen dinner napkins with my new silver napking rings and a few hydrangea arrangements. Throw in a few candles and the right guests and I’ll think we’ll have a great time! It will also be the perfect time to take show you the “after”﻿ photos of the dining room I’ve been promising for so long! Hope you have a Happy New Year and check in the first week of January for details from the dinner party!